In a previous post, we provided some basic information about oscilloscope probes, including a brief survey of the different types and what can happen when the probe is connected to a DUT. In this installment, let's continue along those lines and take a closer look at passive probes. To speak of an oscilloscope probe is to open a fairly large can of worms. There are many kinds of probes on the market, with differing functions and characteristics (Figure 1). 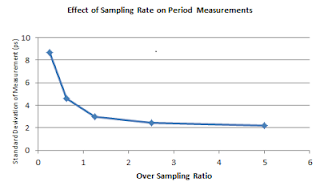 This is the first in a short series of posts on the basics on probes, what the various kinds are used for, and how they might be expected to affect measurements taken with them. 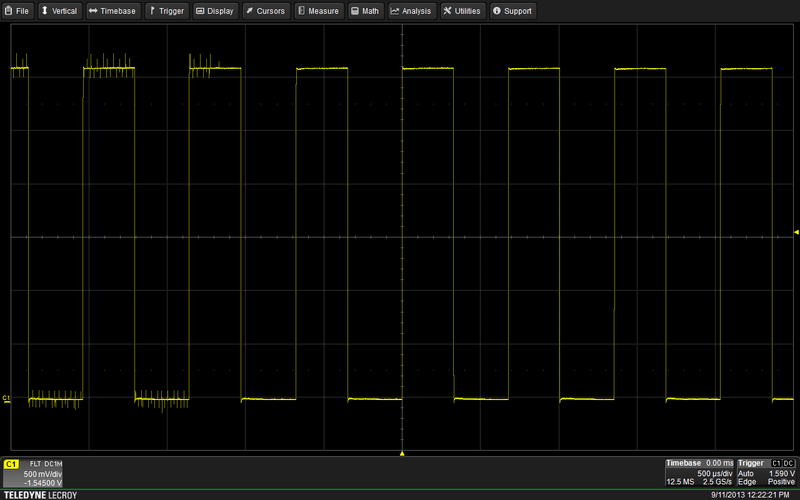 In a recent post, we discussed how to control a modern digital oscilloscope using the front-panel controls. That was a natural place to begin, given that it's the "traditional" means of controlling the instrument and the one that most seasoned users cut their teeth on. But there's more than one way to skin this cat these days. Many of today's oscilloscopes carry touch screens that do everything the front-panel controls can do, plus some things they cannot do. As a follow-up to a recent post with an oscilloscope front-panel tour, we want to dig a little deeper into one aspect of controlling the instrument, and that's how to set up and use cursors. But instead of describing it in prose, it makes more sense to show you. So enjoy this brief tutorial video that will get you started with cursors! 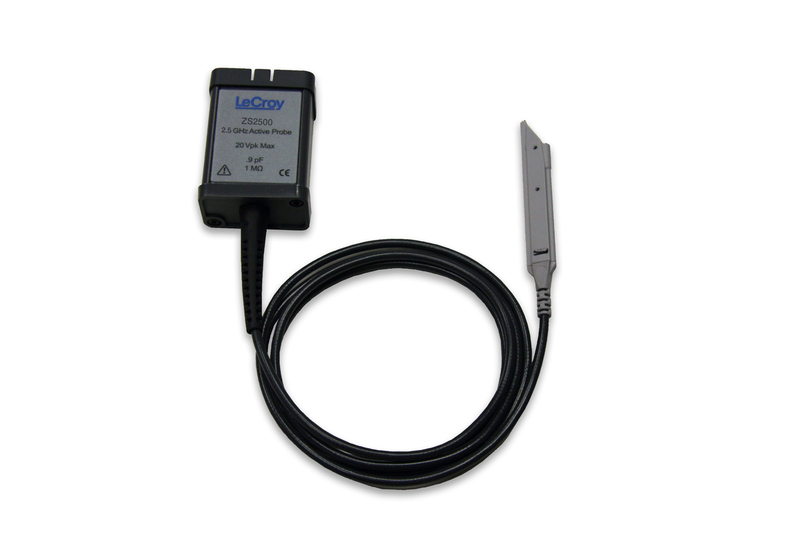 We're demonstrating on a Teledyne LeCroy HDO4054, but most of what we're showing you translates to other manufacturer's instruments. 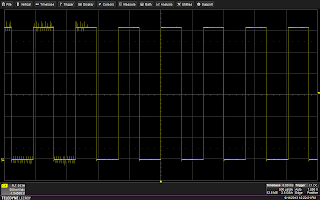 In earlier posts, we looked at a) the basics of fast-Fourier transforms (FFTs) and b) how to set up an FFT on a modern digital oscilloscope. In this post, we'll take a brief look at what that modern scope can do with an FFT, provided that scope is outfitted with software that will let it take full advantage. After all, the object of an FFT is to transform a time-domain waveform into the frequency domain. Sounds kind of like a spectrum analyzer, no? in this signal are not apparent with a simple edge trigger. In an earlier post, we looked at some of the basics of oscilloscope triggering and noted that there are two broad classes of triggers: simple triggers that sense particular characteristics of the input signal (transition edges, pulse widths, and so on), and more complex triggers that let you zero in on more specific attributes of the signal based on timing and amplitude parameters. 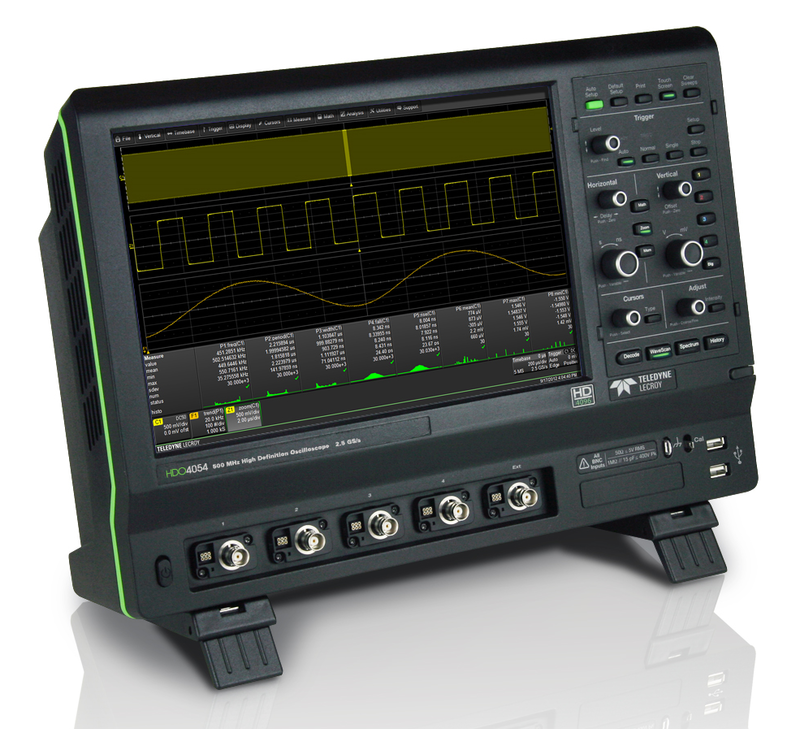 For most of their history, oscilloscopes have been thought of chiefly as a time-domain instrument. That is, an oscilloscope facilitates the observation of changes in a signal's amplitude over time. 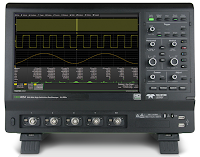 However, many modern digital and mixed-signal oscilloscopes provide spectral analysis capabilities based on fast Fourier transforms (FFTs) that convert a time-domain waveform into the frequency domain. There are lots of good reasons for taking advantage of this capability. Perhaps the most important is to gain insight into characteristics of the signal that simply are not apparent from a time-domain perspective. Whether or not we think of it in such terms, any voltage measurement taken with an oscilloscope or voltmeter is, in reality, a differential voltage measurement. A voltage is, by definition, the difference in electrical potential between two points in a circuit. It's impossible to take a voltage measurement with only one voltmeter lead. One lead must be attached to the point of interest while the other must be connected somewhere else as a reference point. Looking for a good, albeit very expensive, paperweight? 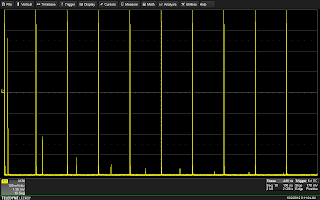 Try using an oscilloscope without probes! 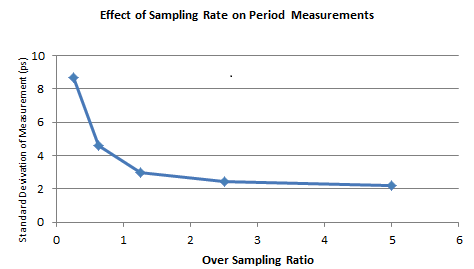 Probes are often taken for granted but they are one of the most critical elements of the signal chain in any test scenario. 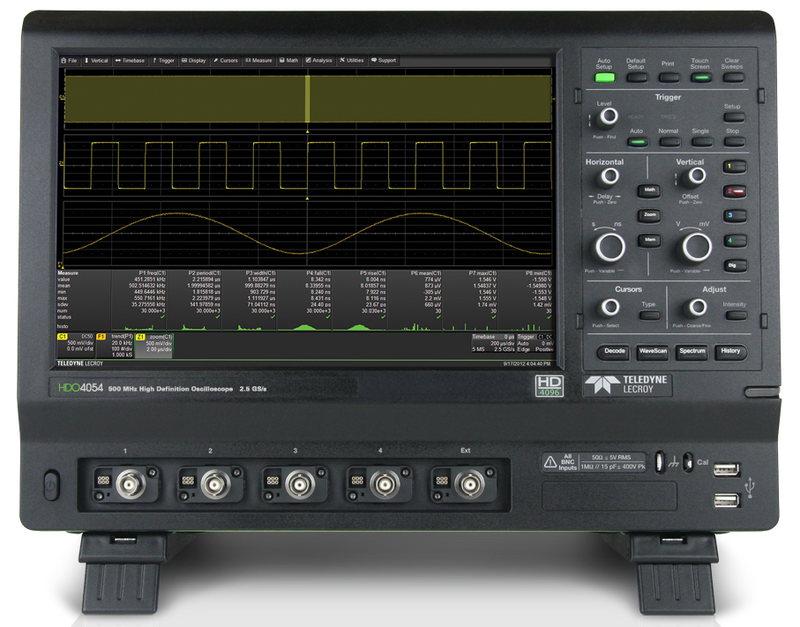 An oscilloscope with spectrum-analysis capability marries the best that both instruments offer in one package. You get the traditional oscilloscope view of signals in the time domain, but you also get the spectrum analyzer’s ability to take the same signal and look at it from the frequency perspective. Data-communication systems that rely on quadrature signal generation to phase-encode data can run into a number of signal-corrupting snags. These can include things like Gaussian noise, non-coherent single-frequency interference, phase noise, and attenuation in the channel and/or receiver, to name a few. 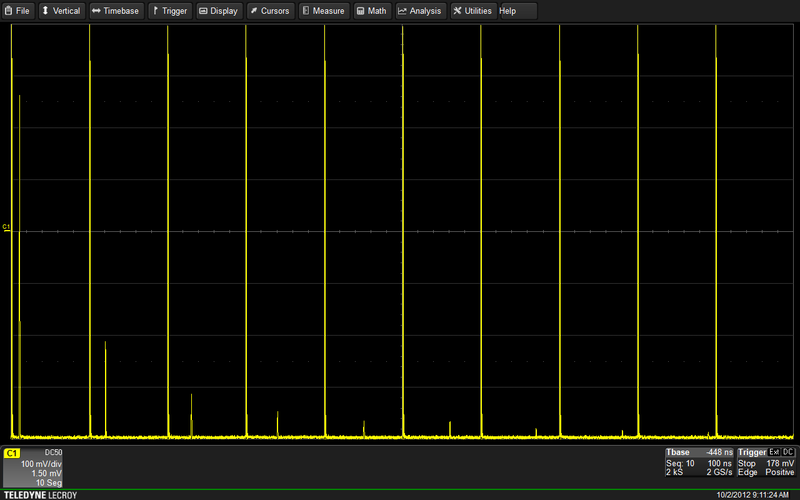 But did you know that you can use your digital oscilloscope to diagnose problems like these?